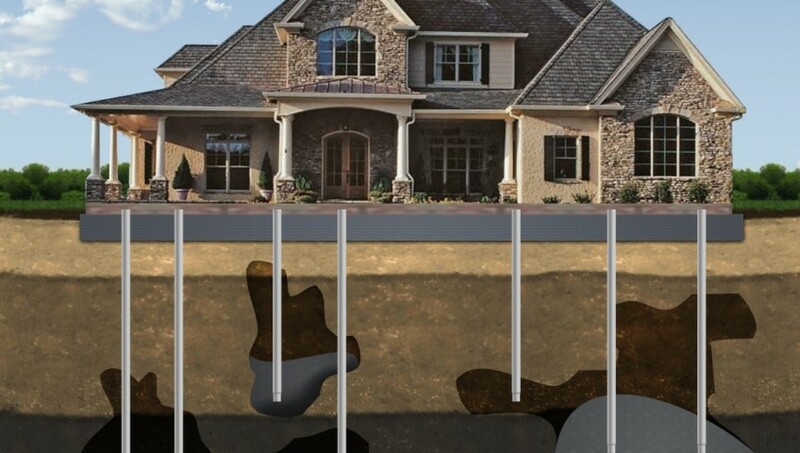 Pressure Grouting is commonly used in Florida for Foundation Repair and Sinkhole Repair due to the weak sandy soils. Pressure Grouting can be referred to as, Grout Pumping, Slurry Grouting, Pressure Grouting, Slabjacking, Mudjacking and Void Filling. Pressure grouting involves injecting a grout material into generally isolated pore or void space of which in most cases neither the configuration or volume are known, and is mostly referred to as Grouting. The grout may be a cementitious, resinous, or solution chemical mixture, (micromechanically designed material). The greatest use of pressure grouting in Florida is to improve geomaterials (soils and limestone) in areas were sinkhole activity is present. It is also used to correct faults in concrete and masonry structures from pour design issues or unstable soils under or around the structure. Since first usage in the 19th century, grouting has been used on the foundation of almost every large dam in the world, in order to reduce leakage through the rock, and sometimes to strengthen the foundation that support the weight of the structure. Pressure Grouting is very specialized and a essential construction procedure that is practiced by Engineers like Foundation Masters, LLC. Slabjacking and Mudjacking is the process of pumping a cement-grout mixture into sunken portions of concrete with the objective of either raising the sunken concrete or filling the voids between the bottom of the slab and the fallen soils. If you think you may need any type of Grout Pumping, or have a set of plans from a Engineer and need a free plan review or would like a estimate on your plans, please feel free to contact us.